Over time, an unmistakable throbbing headache sets in, making it difficult to concentrate on anything. Eventually, as your body protests having the drug taken away, you might even feel dull muscle pains, nausea and other flu-likeÂ symptoms. This isn’t heroin, tobacco or even alcohol withdrawl. We’re talking about quitting caffeine, a substance consumed so widely (the FDA reports that more thanÂ 80 percent of American adults drink it daily)Â and in such mundane settings (say,Â at an office meeting or in your car) that we often forget it’s a drug–and by farÂ the world’s most popular psychoactive one. Like many drugs, caffeine is chemically addictive, a fact that scientists established back in 1994. This past May, with the publication of the 5th edition of theÂ Diagnostic and Statistical Manual of Mental Disorders (DSM), caffeine withdrawal was finally included as a mental disorder for the first time–even though its merits for inclusion are symptoms thatÂ regular coffee-drinkers have long known well from the times they’ve gone off it for a day or more. Why, exactly, is caffeine addictive? The reason stems from the way the drug affects the human brain, producing the alert feeling that caffeine drinkers crave. Soon after you drink (or eat) something containing caffeine, it’s absorbed through the small intestine and dissolved into the bloodstream. Because the chemical is both water- and fat-soluble (meaning that it can dissolve in water-based solutions–think blood–as well as fat-based substances, such as our cell membranes), it’s able to penetrate the blood-brain barrierÂ and enter the brain. Structurally, caffeine closely resembles a molecule that’s naturally present in our brain, calledÂ adenosineÂ (which is a byproduct of many cellular processes, including cellular respiration)–so much so, in fact, that caffeine can fit neatly into our brain cells’ receptors for adenosine, effectively blocking them off. Normally, the adenosine produced over timeÂ locks into these receptors and produces a feeling of tiredness. 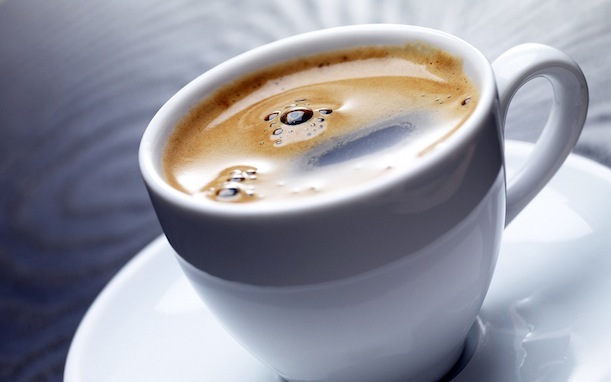 When caffeine molecules are blocking those receptors, they prevent this from occurring, thereby generating a sense of alertness and energy for a few hours. Additionally, some of the brain’s own natural stimulants (such as dopamine) work more effectively when the adenosine receptors are blocked, and all the surplus adenosine floating around in the brain cues the adrenal glands to secrete adrenaline, another stimulant. 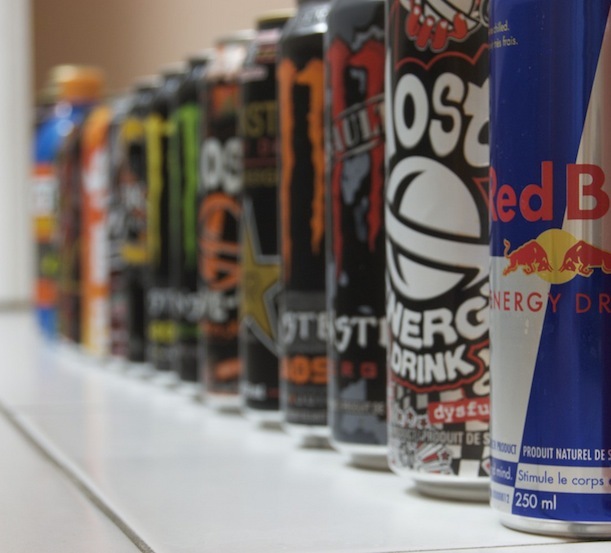 For this reason, caffeine isn’t technically a stimulant on its own, says Stephen R. Braun, the author orÂ Buzzed: the Science and Lore of Caffeine and Alcohol, but a stimulant enabler: a substance that lets our natural stimulants run wild. Ingesting caffeine, he writes, is akin to “putting a block of wood under one of the brain’s primary brake pedals.” This block stays in place for anywhere from four to six hours, depending on the person’s age, size and other factors, until the caffeine is eventually metabolized by the body. In people who take advantage of this process on a daily basis (i.e. coffee/tea, soda or energy drink addicts), the brain’s chemistry and physical characteristics actually change over time as a result. The most notable change is that brain cellsÂ grow more adenosine receptors, which is the brain’s attempt to maintain equilibrium in the face of a constant onslaught of caffeine, with its adenosine receptors so regularly plugged (studies indicate that the brain also responds by decreasing the number of receptors for norepinephrine, a stimulant). This explains why regular coffee drinkers build up a tolerance over time–because you have more adenosine receptors, it takes more caffeine to block a significant proportion of them and achieve the desired effect. This also explains why suddenly giving up caffeine entirely can trigger a range of withdrawal effects. 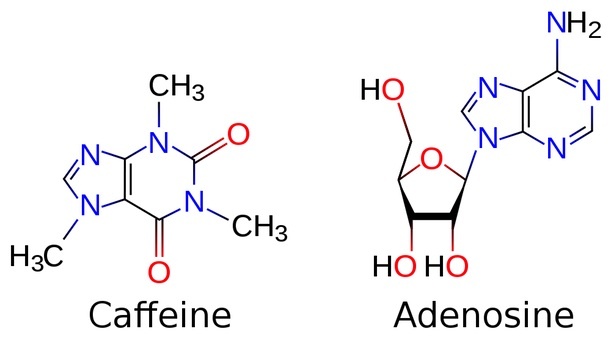 The underlying chemistry is complex and not fully understood, but the principle is that your brain is used to operating in one set of conditions (with an artificially-inflated number of adenosine receptors, and a decreased number of norepinephrine receptors) that depend upon regular ingestion of caffeine. Suddenly, without the drug, the altered brain chemistry causes all sorts of problems, including the dreaded caffeine withdrawal headache. The good news is that, compared to many drug addictions, the effects are relatively short-term. To kick the thing, you only need to get through about 7-12 days of symptoms without drinking any caffeine. During that period, your brain will naturally decrease the number of adenosine receptors on each cell, responding to the sudden lack of caffeine ingestion. If you can make it that long without a cup of joe or a spot of tea, the levels of adenosine receptors in your brain reset to their baseline levels, and your addiction will be broken. According to his bio: Under Mr. Clifton’s leadership, Gallup has achieved a fifteenfold increase in its billing volume and expanded Gallup from a predominantly U.S.-based company to a worldwide organization with 40 offices in 30 countries and regions. He’s also developed his own economic model, the Gallup Path, and started the Gallup World Poll to engage everyone around the world in key issues (and pledged to continue the effort for 100 years in 150 countries). Pretty impressive, I thought, as I perused the rest of the event program. “We’re wrong about innovation,” he said. And then he stood, quiet and still. And we sat, quiet and still. Actually, I was not still because I was frantically scanning the crowd for Chancellor Holden Thorp, who I know to be passionate about innovation, but everyone else was still. We sat long enough that a few people finally chuckled. He went on to talk about universities, cities and countries building centers of innovation. He said Saudi Arabia is building a city dedicated to innovation and then proceeded to predict that nothing will come out of it. Absolutely nothing. “What if it’s the business model of entrepreneurship where all of our chips should go?” he said. “I’m sure that’s the case.” To support this argument, Clifton recounted the invention and introduction of the Internet. At this the crowd laughed, which was a relief to me, as was the fact that I hadn’t seen my chancellor storm out (though I hadn’t found him in the crowd yet). He went on to discuss the relationship between innovation and entrepreneurship. Innovative ideas can make a splash, but entrepreneurs are more likely to create value, change the world, and make profits. If you had one dollar to invest, would you invest it in an innovator or an entrepreneur? Innovation is crucial to social advancement, but the entrepreneur gets my buck every time. Innovation is about the manifestation of novel ideas, but entrepreneurship is about value creation. Ideas help, but the sine qua non for entrepreneurs–hard work, ambition, resourcefulness, unconventional thinking, salesmanship, and leadership–will always trump brilliant ideas. I know who and where the entrepreneurs are, but who is an “innovator?” Is it anybody tinkering with a grand idea or just a mystical few? Is it a group of people or a lone inventor? I might spend my buck on an innovator if I could find one; I suspect if I did, lurking behind the innovation get-up would be an entrepreneur. Oh, and don’t go bending the definition of innovation to suit your purposes. Something that means everything ends up meaning nothing. So let the entrepreneurs rummage through piles of society’s innovation assets. As they determine what is valuable from scrap, watch as they surprise us in their value creation. Yes, I have heard it ad nauseam: “Innovation is more than technology,” but when push comes to shove, societies measure innovation by R&D investment, IP (intellectual property) generation, and STEM (science, technology, engineering, and mathematics) education. Sure, STEM sells, but value-creating entrepreneurship will get my dollar every time. Daniel Isenberg is a Babson Global professor of management practice and the founding executive director of BEEP, the Babson Entrepreneurship Ecosystem Project, the global action research subsidiary of Babson College. Isenberg has a Ph.D. in social psychology from Harvard University. Drinking two cups of hot chocolate a day may help older people keep their brains healthy and their thinking skills sharp, according to a study published in the August 7, 2013, issue of Neurology, the medical journal of the American Academy of Neurology. The study involved 60 people with an average age of 73 who did not have dementia. The participants drank two cups of hot cocoa per day for 30 days and did not consume any other chocolate during the study. They were given tests of memory and thinking skills. They also had ultrasounds tests to measure the amount of blood flow to the brain during the tests. Of the 60 participants, 18 had impaired blood flow at the start of the study. Those people had an 8.3-percent improvement in the blood flow to the working areas of the brain by the end of the study, while there was no improvement for those who started out with regular blood flow. The people with impaired blood flow also improved their times on a test of working memory, with scores dropping from 167 seconds at the beginning of the study to 116 seconds at the end. There was no change in times for people with regular blood flow. A total of 24 of the participants also had MRI scans of the brain to look for tiny areas of brain damage. The scans found that people with impaired blood flow were also more likely to have these areas of brain damage. Half of the study participants received hot cocoa that was rich in the antioxidant flavanol, while the other half received flavanol-poor hot cocoa. There were no differences between the two groups in the results. The study was supported by the National Institute on Aging and the National Heart, Lung, and Blood Institute. The cocoa was provided by Mars Inc.